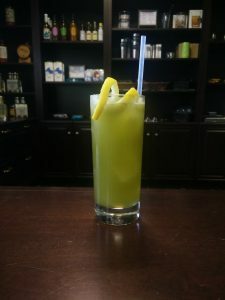 We had fun playing with some new flavors to add to our new spring cocktail menu, and we ended up loving matcha tea cocktails! The Matcha Man is part of our “Sessionable Options” section in our menu – it’s on the lighter side, but still refreshing and flavorful. The matcha gives it a delightful green hue! Shake ingredients with ice, then strain into Collins glass filled with fresh ice. Garnish with a lemon swath.